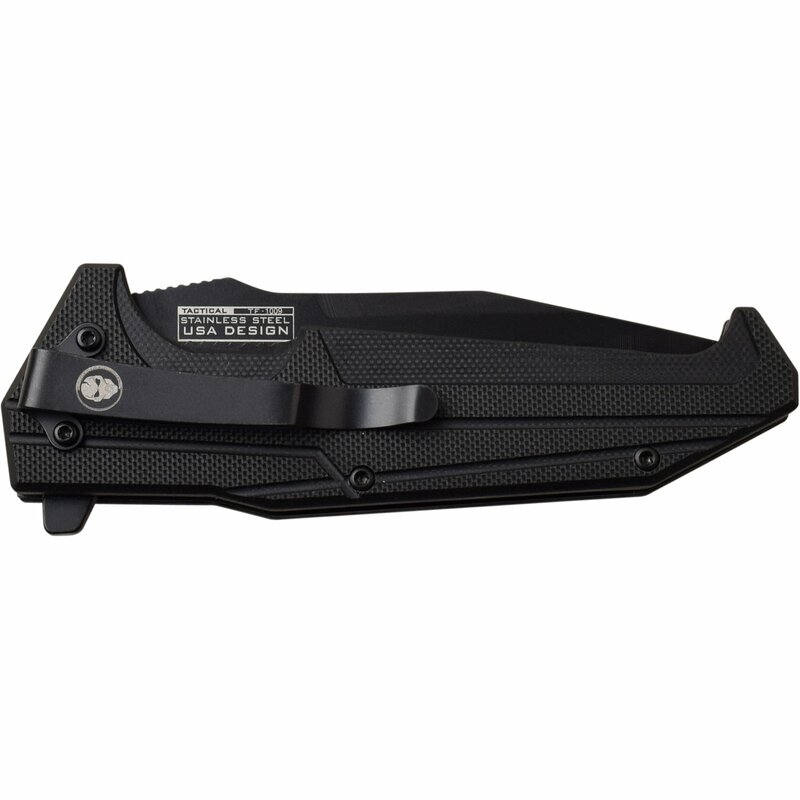 Tanto blade PUNISHER pocket knife. 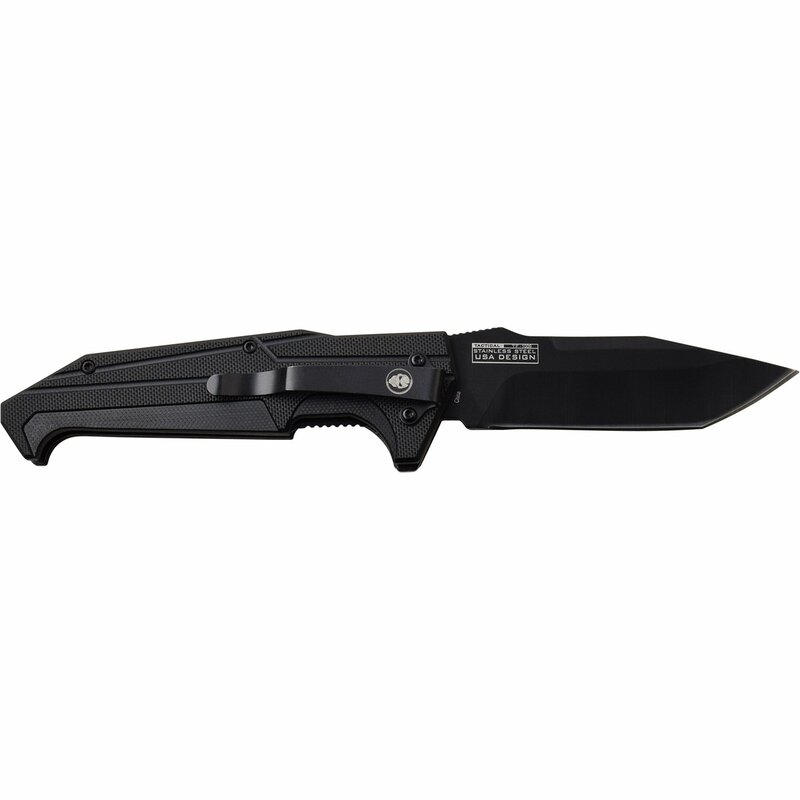 The assisted opening knife is 8.5 inches long. Includes a pocket clip and comes in a box. 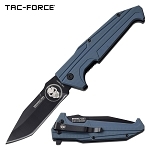 Tac Force knives are everyday carry knives. 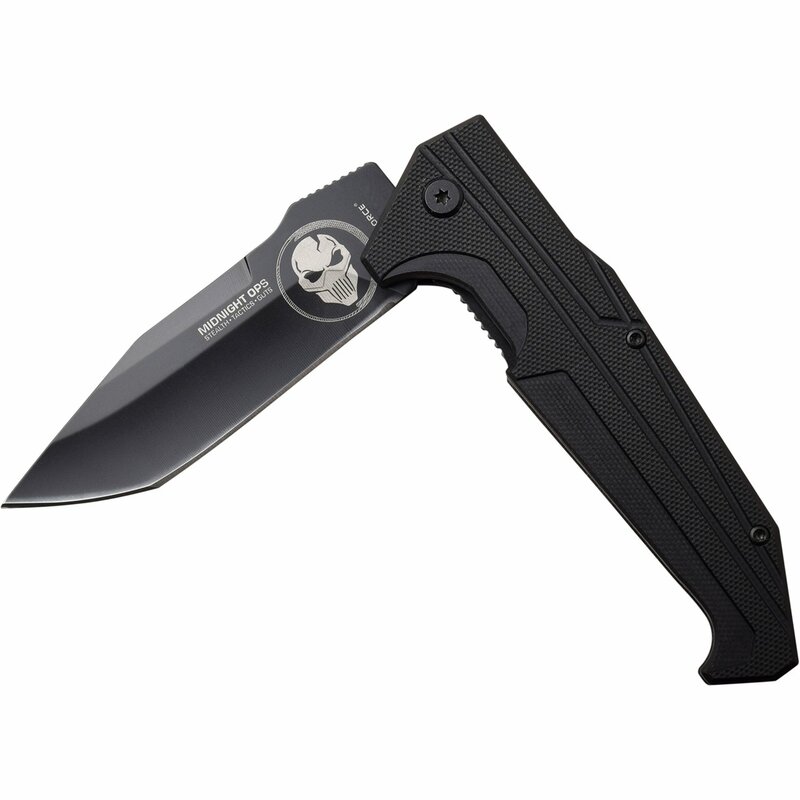 The PUNISHER knife is a spring loaded knife with 8.5 inch open length. 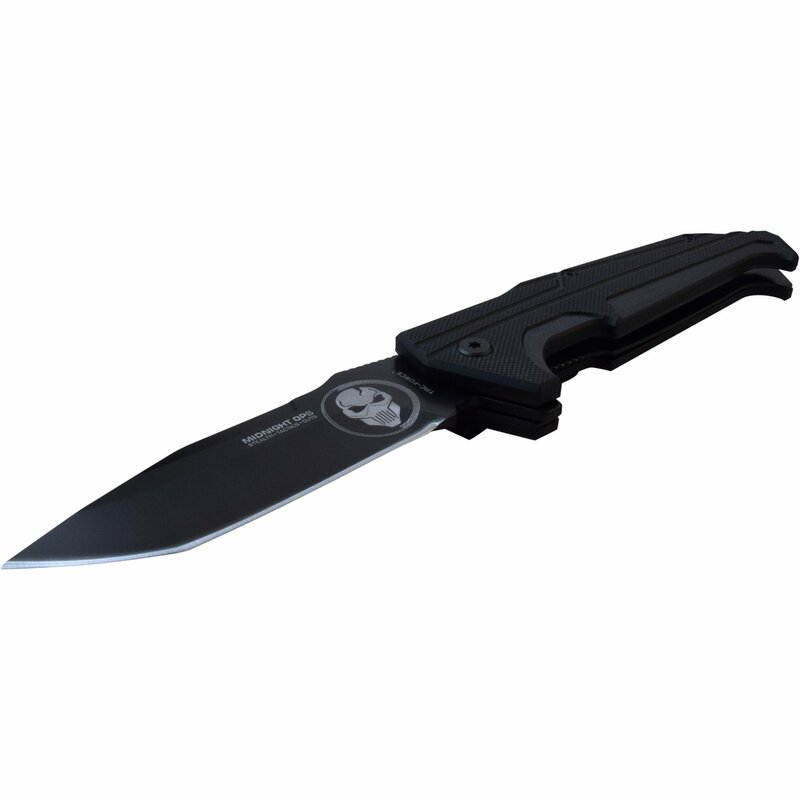 The tanto blade is 3.75 inches long.